The following is my translation of a talk given by Prof Luigi Mariani of the Agrometeorological Research Group, Dept. of Crop Science, University of Milan after a public screening of Al Gore’s “An Inconvenient Truth”, on 23 January in Comano, Italy. As a complete non-expert in the field of documentary movies, my opinion is that Gore is a natural born actor and “An Inconvenient Truth” (AIT, directed by David Guggenheim) such a well-paced work, that it is hard not to feel the involvement. It places itself half-way between American Graffiti and the classical tale of the romantic hero, seasoned with a moral vision calling at times for a collective sense of responsibility for humankind. It is also full of slogans that sound great. All in all, AIT is a veritable testimony of faith in the theory of Anthropogenic Global Warming (AGW). AGW is based on the theory that greenhouse gases are the key factor for climatic variability. In particular, according the AGW the rise in temperatures recorded in the past 150 years (after the end of the Little Ice Age) is caused by human emissions into the atmosphere, especially of carbon dioxide. One of the best known champions for AGW is the United Nations’ International Panel on Climate Change (IPCC). Composed of scientists and government representatives, the IPCC supports a human cause for increased temperatures on the basis both of past climates’ reconstructions and of “forecasts” for up to 100 years in the future, made with mathematical models (Global Circulation Models – GCM). What is less widely known is that the IPCC’s is not the only way to take a look at climate (Mariani, 2008). With those premises, let’s analyze Gore’s documentary according to the three Aristotelian techniques (Wollf, 1995), ie logic, dialectic and rhetoric. Logic (one may say, science) is the rational process reaching “true” conclusions starting from “true” statements and using demonstrations. Dialectic seeks the “truth” starting from conflicting ideas. Rhetoric is the art of persuading an audience of the “truth” an idea. My personal assessment for AIT is as follows: 10% science, 0% dialectic and 90% rhetoric. In other words, it is a well-polished work of propagandistic fiction. Of science there is not a lot, because Gore is not a scientist and knows simply too little about Atmospheric Physics (even with Keeling in the background, the absence of any experience in actual scientific research is apparent). The sheer number of contradictions in Gore’s charts vs. words makes that all too evident. 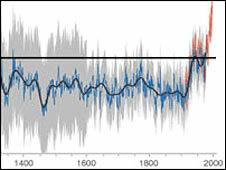 The graph showing CO2 concentrations over the last 650,000 years (in red) alongside temperatures (in blue) clearly indicates increased CO2 is an effect of warming and not a cause. Temperatures in Switzerland definitely increase but only from 1989: why would the greenhouse effect of CO2 show up only from that date, one wonders? Is there something else, perhaps, underneath Gore’s neat explanations? I am really impressed by Gore’s light-mindedness in navigating among contradictory data. If he delivered the same ideas around the world in hundreds of speeches, how on Earth can it be possible that not even one person in the attendance has ever made Gore confront his own contradictions? Had he spent at least part of his precious time reading scientific literature or at least opening himself to a frank and open discussion with anybody aware of the complexities of climate science, I am sure he would have presented things in a different way. Also note how many times Gore pushes on the ethics button, whilst anybody with a different mind on these topic is basically a person of lowly morals (a “skeptic”, a well-paid mouthpiece for Big Oil, etc). That’s why there is no dialectic at all. What openness to dialogue could be expected from someone convinced of being the depository of an absolute truth? And what science can be done if there is no space for dialectic, and rhetorics is instead sprinkled away freely throughout AIT, even with the empathetic use of a series of private events (such as the emotional life stories of the son and the sister of Gore, and a retelling of his misadventures during the 2000 election?). With not even an inch of dialectic lightening up AIT’s heavy chains of rhetoric, focusing on the scientific elements of the Gore-Guggenheim documentary becomes more important than ever. In this regard please note that all my comments below are based on data and bibliographical references from the scientific literature to date (January 2009). You may notice how this constrasts with Gore’s assertion that an analysis of over 928 scientific papers in international journals showed exactly 0% of them in disagreement with AGW. It should go without saying that most scientific work concerns limited areas of research. This is the way of science as there has to be a suspension of disbelief in respect of matters that are not covered by the available data. That alone explains why many scientists in their peer-reviewed articles express no actual opinion regarding the whole-planet interdisciplinary topic of research called climate science. And yet their silence is taken as consent. Still, it is not really that difficult to find peer-reviewed scientific articles critical of AGW, focusing instead on the importance of solar activity (Shaviv, 2005), the role of land use (Pielke et al., 2007) and even the sensitivity of climate to changes in the underlying forcings (Lindzen and Giannitsis, 2002), to mention a few. Let’s check Gore’s statements against current scientific understanding. 1. The ice cream shown in the cartoon melts not due to global but of urban warming effect (Mariani, 2008). If global temperatures have risen by 0.5C in a century, in a city like Milan they have increased by 2.5C, especially in the minima (at night, during the summer heatwaves, our cities are definitely less comfortable than in the past). So what’d be wrong in fighting urban warming? Is anybody afraid of interfering with “bricks”, since those make up the foundations of our economy? 2. In another animation, greenhouse gases trap the rays of the sun. Now, even if one should not be too picky in adapting science knowledge to the masses, still one should steer clear of anything capable mostly of entrenching further ignorance. The so-called “greenhouse effect” is due to components of atmosphere intercepting longwave radiation emitted from the planetary surface, and partly irradiating it back towards the ground. This is a phenomenon essential for life, contributions to which come from water vapor (55%), clouds (24%) and CO2 (14%) (Mariani, 2008). Considering CO2 alone (Mihre, 1998) and translating its increase in concentration into a rise in temperatures using the Stefan Boltzmann equation, the expected “global warming” will be less than 0.5C between today and the time when CO2 concentration will be double the pre-industrial levels. AGW mathematical models estimate a larger increase on the (unproven) assumption that CO2 increases correspond to great increases in water vapor and decreases in low clouds (and/or increases in high clouds). 3. Gore at one point says that we must get rid of “evil” greenhouse gases. Everybody must be made aware of the fact that CO2 is not a poison, rather it is a major foundation for life itself. Without CO2, there would be no photosynthesis and we would not have much if anything to eat. Vascular plants appeared during the Devonian era, with CO2 levels 20 to 30 times higher than current ones, and yet temperatures were not much different than today’s (Hetherington et al. 2005). And if there was no man at the time to call CO2 as a “cancer on the planet”, could anybody please explain on what grounds Devonian air was the way it was? 4. Gore indicates the melting of the Kilimanjaro glaciers as an unequivocal sign of AGW. However, according to Kaser et al. (2004) ice started declining on the tallest African mountain around 1880, probably because of land use changes (the destruction of forested areas) and a consequent change in available humidity and rainfall patterns. 5. Gore speaks of unprecedented melting of Arctic and Alpine glaciers as a symptom of Global Warming. What should be noted though is that an even more massive melting of Alpine glaciers took place between 7500 and 5500 years ago, during the so-called “postglacial optimum”, and then 1000 years ago, coinciding with the “medieval optimum” (Mariani, 2006). Many current glaciers originated during the “little ice age” period between 1500 and 1850 (Giraudi, 2005). 6. Gore argues that to allow CO2 to increase is deeply immoral. It would be interesting to ask for an opinion on such a claim by a plant of wheat, or a vine. 7. Gore argues that the European heatwave of 2003 is a perfidious effect of AGW and that it is the alarm bell for phenomena increasingly more common in the future. Chase et al (2006) have analyzed the frequency and persistence of major subtropical anticyclonic fronts of the kind that lingered on for much of the the summer in 2003. Their analysis covered 1979-2006 and a latitudinal band between 22° and 80° North. According to their findings similar or greater anomalies than 2003’s happen regularly and there is no significant trend in the annually affected area. What was different in 2003 was the structure of European urban areas, with high-rise buildings of stone and mortar, and very little, often not even properly irrigated green areas (Leroy Ladurie, 2004). 8. Gore mentions Hurricane Katrina as evidence that we are facing an increase in the destructiveness of hurricanes. However, U.S. statistics for 1900-2005 indicate a substantial lack of any trend (Pielke et al., 2008). 9. Gore says that AGW leads to an increase in rainfall and cites as unprecedented example the 930mm that fell upon Mumbai in just 24 hours. This assertion is false as a number of precedents have been recorded for decades (Cati, 1981). Among the highest global pluviometric records during the space of 24 hours: 1168mm in Beguio (Philippines, 14-15 July 1911); 1036mm in Cherrapungi (India, 14 June 1876); 1034mm in Funkiko (Taiwan, 31 August 1911); 975 mm in Thrall (Texas, 9 September 1921); 940 mm in Suva (Fiji, 9 August 1906). In Italy alone: 948 mm in Bolzaneto (Genoa, 7-8 October 1970); 750mm at the Reschenpass (9 October 1936) and 702 mm in Lentini (17 October 1952). 11. Gore fears the spread of tropical diseases like malaria. Would anybody please remind him that in the middle of the “little ice age”, Oliver Cromwell died of malaria in London in 1658, killed by a disease that was endemic in the Thames region (Lamb, 1966). What is keeping Londoners healthy today, temperatures notwithstanding, are health policy measures (Reiter, 2008). 12. Gore talks of an increase in the level of the oceans. In truth, oceans have gone up by 1mm/year between 1900-1951, then decreased by approximately the same yearly amount up to 1980, and are now rising again, still by about 1mm per year (Mornera et al., 2004; Mornera, 2007). That translates in 10 cm in a century, far less than needed for submerging entire regions (such as the Netherlands or Florida, shown in what is a veritable moment of fiction during AIT). Note that even with CO2 levels significantly lower than current ones, abnormally high sea levels happened 125,000 years ago, with up to +6 meters compared to today (IPCC, 2007); 7000 years ago, up to +2 meters (Törnqvist et al., 2004) and 1000 years ago, up to +0.5 meters (Froede, 2002). 13. Gore raises concerns about floods, droughts and storms: computerized GCMs present those scenarios, something in my opinion still all to be proven. However, even taking them as true, don’t they also show temperatures rising more at the Poles than in the tropical regions? And doesn’t that translate into a contraction of the pole-equator thermal gradient, the main trigger of general circulation and energy source for the smaller circulatory structures that make up the weather? One would then expect a reduction in extremes, not an increase. 15. Gore cites Mark Twain “Danger comes not from what we know not, but from what we believe to be true but it is not”. A formidably true sentence if there’s ever been one, and even more so concerning AGW, a field about which there still is so much room for uncertainty, in my opinion. Having read Mark Twain (see for example his story “How the Animals of the Wood Sent Out a Scientific Expedition“) I can imagine how little trust would he put into a “dominant scientific theory” such as AGW. Last but not least, global warming as such has stopped in 1998 (warmest year ever, with a very strong El Nino phenomenon). Global temperature data similar to 2008’s happened in 1996 (see the satellite MSU data in Figure 2). Regarding such a complex system as climate, no serious scientist can claim absolute certainty. Doubt is inevitable, actually functional for the growth of knowledge. Perhaps that is why Guggenheim’s documentary is led by Al Gore, a politician mandated to hide all doubts and trained from an early age into rhetoric as a tool to convince the masses. That is the exact opposite of scientists, trained instead to be wary of any truth and to criticize and verify existing “dominant” theories. Modern science sprung also from the ideas and experiences of Copernicus and Galileo, as recently reiterated by Claude Allègre in a beautiful article published by Le Monde in October 2006 (C. Allègre, 2006). The history of science is like a graveyard of once-popular theories, now outdated, and that more often than not have allowed an increase in the understanding of the world exactly by being proven erroneous. Let me finish then with the following question: is there an ethical aspect in all of the above? Yes, there is, but not in the sense claimed by Gore and repeatedly reaffirmed by his followers. When all efforts are concentrated into a single all-pervasive issue, attention is distracted from the real problems, and solution to any of those prevented. Mental energy dissipated in analyzing false concerns is simply not there to confront real ones. As clear an example as any, the attitude after the 2003 European heatwave: having failed to recognize the importance of urban rather than global warming, no measures will be taken to counteract the real cause. For example in Milan (of which Gore is now honorary citizen, by no coincidence (Tiezzi, 2008)), houses are being allowed to rise up by an additional floor, further preventing cooling at night, which means of course that the city will be even more hot in future heatwaves. AIT offers no science-based evaluation of what issues are really at stake: it is in fact its exact opposite, more likely part of a neo-Apocalyptic mindset that distorts the scale of importance of our issues and is capable of contributing little or nothing to the solution of actual problems currently facing humanity. And it will open up the field to speculators, including (not by chance) the same Big Oil denounced by Gore as guilty of financing the “non-scientists”’ efforts to deny the “Inconvenient Truth”. Granting the 2007 Nobel Peace Prize together to a politician (Al Gore) and a supposedly scientific organization (the IPCC) has simply reinforced the idea that the IPCC itself and AGW in general are heavily constrained by politics. And for this topic, I refer you to Professor John Christy’s “My Nobel Moment” (2007) article on The Wall Street Journal. Christy has long worked within the IPCC and his insider’s view is definitely useful to enlighten the issue of AGW. “…I’m sure the majority (but not all) of my IPCC colleagues cringe when I say this, but I see neither the developing catastrophe nor the smoking gun proving that human activity is to blame for most of the warming we see. Rather, I see a reliance on climate models (useful but never “proof”) and the coincidence that changes in carbon dioxide and global temperatures have loose similarity over time. There are some of us who remain so humbled by the task of measuring and understanding the extraordinarily complex climate system that we are skeptical of our ability to know what it is doing and why. As we build climate data sets from scratch and look into the guts of the climate system, however, we don’t find the alarmist theory matching observations…. … California and some Northeastern states have decided to force their residents to buy cars that average 43 miles-per-gallon within the next decade. Even if you applied this law to the entire world, the net effect would reduce projected warming by about 0.05 degrees Fahrenheit by 2100, an amount so minuscule as to be undetectable. Global temperatures vary more than that from day to day. Suppose you are very serious about making a dent in carbon emissions and could replace about 10% of the world’s energy sources with non-CO2-emitting nuclear power by 2020 — roughly equivalent to halving U.S. emissions. Based on IPCC-like projections, the required 1,000 new nuclear power plants would slow the warming by about 0.2176 degrees Fahrenheit per century. It’s a dent. Christy’s article’s moral stance is incomparably superior to Gore’s rhetoric-filled documentary. Who in their right mind would ever argue against the necessity of consistently pursuing health policies, water resource management, energy sources’ differentiation, and food security starting from a rational assessment based on available data, instead of Gore’s neo-Apocalyptic grandstanding? Cati L., 1981. Idrografia e idrologia del Po, Poligrafico dello Stato, Roma, 310 pagine. Christy J.R., 2007. My Nobel moment, the Wall Street Journal, November 1, 2007.
the last deglacial transition. Journal of Geophysical Research 102(C12):26383-26396. Hetherington A.M., Raven J.A., 2005. The biology of carbon dioxide, Current Biology Vol 15 n. 11, 406-410.
present at Key Biscayne, Florida: Geology, v. 30, p. 203–206. higher Apennine massifs (Italy). Quaternary Research 64: 176-184.
climate change: observations and facts, International Journal of Climatology. Letters, vol. 29, NO. 0, 10.1029/2001GL014074, 2002. Rivista di storia dell’agricoltura, anno XLVI, n.2, 3-42.
role of agriculture in the climate system and in climate change, Agricultural and Forest Meteorology 142 (2007), 234–254. the United States: 1900–2005, Natural hazards review, Asce, 29-42. Journal 2008, 7(Suppl 1), (http://www.malariajournal.com/content/7/S1/S3). Tiezzi E., 2008. Un incontro con Al Gore, in Liberi di prevedere il domani, Atti del primo Congresso Epap, 25-36. Wolff F., 1995. Trois techniques de verite dans la Grèce classique, Aristote et l’argumentation, Hermes, 15, 41-71. Figure 1 – Central Greenland temperatures from the end of last ice age to present (Alley, 2000). Four large warm episodes are noticeable: medieval optimum (1), Roman warm period (2), Mycenean warm period (3) and postglacial optimum (4). Last 90 years of data extracted from the GISP2 set by Cuffey and Clow (1997). Each round of the IPCC assessment process kicks off with an election, where national delegations vote for the panel’s chairman, the co-chairs of its three working groups —which respectively deal with climate science, impacts and adaptation, and mitigation — and an array of vice-chairs. But after last year’s glory, this time countries eagerly sought seats on the prestigious panel. According to Chris Field, director of the Carnegie Institution’s Department of Global Ecology in California and new co-chair of Working Group II, nations stake “a flag in the ground” when they commit a big-name expert — and corequisite staff and funding, in the case of wealthy nations — to support the panel. Working Group II’s remit is about “Impacts, Adaptation and Vulnerability“. The good thing is that whenever their fifth report comes out, I’ll be able to claim to know about the subject as much as the IPCC’s own Working Group Chairmen! The proper response to adamant certainty in the face of complete ignorance is rational skepticism. And aren’t we much better off accumulating resources to meet urgent needs than expending resources to service ignorant fears? It’s not that we, “lack … full scientific certainty,” it’s that we lack any scientific certainty. We literally don’t know whether doubling atmospheric CO2 will have any discernible effect on climate at all. If our knowledge of future climates is zero then for all we know either suppressing CO2 emissions or increasing them may make climate better, or worse, or just have a neutral effect. The alternatives are incommensurate but in our state of ignorance either choice equally has two chances in three of causing the least harm. Complete ignorance makes the Precautionary Principle completely useless. There are good reasons to reduce burning fossil fuels, but climate warming isn’t one of them. Some may decide to believe anyway. “We can’t prove it,” they might say, “but the correlation of CO2 with temperature is there (they’re both rising, after all), and so the causality is there, too, even if we can’t prove it yet.” But correlation is not causation, and cause can’t be assigned by an insistent ignorance. The proper response to adamant certainty in the face of complete ignorance is rational skepticism. And aren’t we much better off accumulating resources to meet urgent needs than expending resources to service ignorant fears? I can’t help but laugh at the incredible somersaults being performed by the Council of the American Physical Society (APS) to reaffirm thieir unshakeable belief in AGW, after allowing the publication in their “Forum on Physics & Society” (FPS) of an article by Christopher Monckton, “Climate Sensitivity Reconsidered“. Note: there is one thing I agree with the APS. Monckton’s paper has not undergone any scientific peer review. You see, he’s a Lord (a Viscount, no less) whilst on the “Council of the APS”‘s side there is obviously no trace of nobility. They have been “discorteous” indeed. Time will tell about the position (and nobility) of Jeffrey Marque, the Editor of the FPS that has seen his July 2008 comments severely rebuked by the Executive Committee of the FPS. Who’s going to choose what will be published in the October 2008 issue, is anybody’s guess. Interestingly, the FPS and the APS did not make too much of a fuss in the past, when publishing “heretical” climate-related opinions. For an example, see Gerald E. Marsh’s “Climate Stability and Policy” in April 2008. Mr Marsh is not exactly your average AGW proponent: he argues that current CO2 levels are too low and contributing to climate instability, suggests that even 750ppmv could still be not enough to stop an upcoming, catastrophic Ice Age. and recommends that the IPCC switch its focus towards “determining the optimal range of carbon dioxide concentrations that will stabilize the climate, and extend the current interglacial period indefinitely”. For some reason, the above did not cause any digestive pain at the FPS, either with its Editor, with its Executive Committee, or with the Council of the APS itself. Is Monckton’s paper simply too hot to handle? Plenty of nutrients for conspiracy theorists there, no doubt. Your decision to dedicate a whole issue of the Planetary Report magazine to Planet Earth is commendable. Too often one forgets that for the study of the universe there is a celestial body available to study 24/7, without the need for expensive trips to outer space. And that “body” is our own planet, the “cradle of humanity”. All “missions to planet Earth” in the forms of orbital satellites and probes are worthwhile almost de facto, as new data can help us better understand our “motherworld”, and together with the accompanying experience may allow us to build the satellites and probes needed to explore the rest of the Solar System, and beyond. But the July/August issue of the Planetary Report is not a celebration of past “missions to planet Earth” nor a comprehensive description of all the challenges lying ahead, and of all the questions still unanswered about our planet. It’s just a collection of articles about global warming. Is that what I and surely many other members await two long months for, every time? (and yes, I do follow Emily Lakdawalla’s blog). Let’s assume “global warming” is indeed a big planetary issue, if not an emergency. Is it not talked about already in countless newspaper articles, movies, Nobel Prize wins, parliamentary sessions the world over, and now even a major topic of discussion at the G-8 “major industrialized nations” meeting? And what purpose could it ever serve for a space-advocacy group to throw in its lot, especially since the issue has become so heavily politicized? Then one reads behind the magazine’s cover, and the “partial sponsorship” by Northrop Grumman Corporation starts explaining things. After all, They are definitely not the first ones to jump on the “global warming bandwagon”, as demonstrated by a recent article on the International Herald Tribune. In the Planetary Report, they are the Company using the picture of a polar bear to advertise on the back cover that their “satellites above are safeguarding life below”. Too bad though, Northrop Grumman Corporation wouldn’t survive a week by sticking to the environmental satellites market, and has to build some other pieces of hardware far less safeguarding for the lives experiencing a close encounter with their weapons. But the problem is not with Northrop Grumman. The issue is what is the Planetary Society doing by jumping head first in the “global warming” debate, and also how it is doing it: because oversimplifications and mistakes abound. And that is definitely a no-no for something like the Planetary Society, that bases all its work of course on Science and on precision. (2) In “Earth is, after all, a planet”, Charles F Kennel talks about “moving from knowledge to action”, because “human actions change our planet in ways that are not beneficial”. Note that certitude in those words. Does Mr Kennel realize that those words could be used to demonstrate there is no real need for more satellites to observe our planet? On the other hand: if the “global perspective” can “be found only in space” and therefore more satellites are needed indeed, what is the certitude on global warming based upon? (3) Editor Charlene M. Anderson is then back in action with a “Venus and Mars, Earth’ s sister worlds” box making improbable connections between Venus’s clouds of sulphuric acid and acid rains on Earth (the two phenomena have little in common apart from elementary chemistry) and between Mars’s tenuous atmosphere and the Antarctic “ozone hole” (UV levels for the former are way higher than for the latter). (4) In the same piece, we are told that Mars and Venus have shown us how “fragile, precious and unique” Earth is: I am not sure how anybody familiar with the evidence of periodical “asteroidal bombardments” on the surface of the vast majority of solar system bodies could define Earth as “fragile”, given that it has deleted almost all traces of four billion years of impact. (5) Finally some fresh air in Michael D King’s “The Earth’s changing environment as seen from space” that actually is a list of all that can be done with satellites to monitor our planet. King’s piece is a good reminder of what it means to stick to the facts, instead of trying to “knit” one’s preferred interpretation around them. On the same tone, Editor Charlene M. Anderson’s box “Here, there and not quite everywhere” about analogies (rather than forecasts of doom) between what is seen on Earth and what happens on other planets and on natural satellites. (6) Things turn to the worse with 6 pages given to Richard J Sommerville to explain the results of the Intergovernmental Panel on Climate Change (IPCC). We are told that it is “90% certain” that us humans have caused “Earth’s atmosphere to warm up in recent decades” by emitting “greenhouse gases” in all our activities: too bad there is no space to explain where is this 90% figure coming from, for example why not 85.6% or 92.4%. We are just told it means “very likely” (why not stick to those words then). (8 ) In section “Absolute certain truth” we are told that the IPCC is “simply an honest and competent assessment of published peer-review science”. Hopefully so. But then on what basis did the IPCC get the Nobel Peace Prize? Not to mention the fact, reported by Sommerville, that the IPCC Working Group reports are approved line-by-line by governmental representatives. The IPCC must have performed the miracle of uniting “honest”, “competent” and “government” under the same roof for the first time in history. (9) The pictures accompanying Sommerville’s articles seem chosen for old-style PR purposes. There is a refinery emitting gases (those are not greenhouse gases); impressive satellite pictures before and after cyclone Nargis (that had nothing to do with climate change); and another satellite picture of the Ross ice shelf in Antarctica seemingly breaking up into icebergs (there is little indication that the southernmost continent is warming at all, apart from its Peninsula). Ironically, there are other ways to advocate for more “missions to planet Earth”, rather than parroting the most trite global warming slogans. For example, there is no mention in the Planetary Report issue of the first chapter of the IPCC’s Working Group Two report, where it is clearly shown that the overwhelming majority of data confirming the climate is changing come from Europe alone. We are talking 96% of evidence coming from 7% of the planet’s land area. A major Earth observation plan is definitely in order: for the most basics of reasons, in order to observe and understand what is truly happening. If the first step instead is to declare our knowledge more or less settled, a couple of satellites will suffice. (10) As Berrien Moore III writes in the final article “As riders on the Earth together”, “to act wisely we require information and understanding”. Whoever is worried about global warming, they better concentrate on getting more environmental satellites up there, instead of declaring as a matter of principle that “we simply must take some of the pressure off Earth” as Mr Moore unfortunately states at the end of his article. Tellingly, we Members of the Society are not provided anything else from this issue of the Planetary Report. No Society news, no items on sale, no information about upcoming events, nothing about existing projects. Perhaps those folks at Northrop Grumman didn’t want to pay for the additional couple of pages. Or perhaps if climate change is afoot, all other activities of the Society will not be of interest any longer. Much fanfare on Nature and elsewhere about a paper by Rosenzweig et al that appears to be a re-hash of chapter 1 of the IPCC AR4-WG2 report. Now, there is one thing that is very evident: the vast majority of reported changes are about Europe. Nature reporter Emma Marris admits “the bulk of the observations come from Europe”. That statement is somewhat incomplete. In the IPCC report, for example, there are, from Europe, 28,115 observed biological changes out of a worldwide total of 28,671. That’s 98%. Just from Europe. And most of it, just from a single meta-analysis. Perhaps Marris should have substituted “bulk” with “pretty much the absolute totality”. So the years are passing by, but the question remains: what if Global warming is just European? Well, Mr Sekercioglu, with an attitude like this, I bet you’re going to make lots of unexpected discoveries, aren’t you? Are AGW climate scientists and science-prone skeptics talking about the same subject? I thought so, but am not sure of that any longer. I and some other fellow science-minded skeptics are simply pointing out to the vast, unexplored regions outside of your average climate modeller’s understanding and computational ability. Imagine if paleontologists had decided to concentrate on the skulls of Rift Valley hominids, treating with disdain (aka as “noise”) all of a find’s context, including other human bones, remains of other animals, local geography (and climate). And deliberatingly ignoring every other hominid find, anywhere else in the world. That’d still be science, but within such a very focused line of research quite unlikely to add much knowledge or understanding, apart than about itself. If such a colossal misunderstanding is indeed in place, that would go a long way in explaining the extraordinary ill feelings surrounding the whole of climate science at the moment (and I am deliberately keeping politics outside of this), with one side treating skepticism itself as a dishonest scandal that should be stamped out of existence once and for all, and the other side dismissing years and years of research as pretty much irrelevant gibberish written by incompetent liars. No wonder they (we) can’t see each other eye-to-eye…how could two judges agree at a canine show contest, if one of them were only interested in (and had built a whole theory of canine beauty about) the shape of the tails? The story of how contemporary climatology has ended up like this is illuminating. At first, basic laboratory experiments gave some indications on how atmospheric constituents could interact with one another, and with the incoming solar radiation. Notable among them, the study of CO2’s “greenhouse effect” by Arrhenius in 1896. But the real world of meteorology (including climate) is somewhat more complex than a lab’s setting. For example, vast energy exchanges manifest in atmospheric cell circulation, oceanic heat exchanges, and whole climate-affecting cycles currently known as the Pacific Decadal Oscillation, the North Atlantic Oscillation, el Nino/la Nina, etc etc. With no way of replicating that in controlled laboratory conditions, climatologists opted at one point to computational models of the atmosphere. This was of course possible only and after a minimum of computational power became available. Computers of course understand only numbers and formulas/commands. In order to get to that, a momentous assumption was made: in an approach curiously reminiscent of the science of aeronautics, climate was taken as the response of the atmosphere to “forcings”, i.e. discernible components pushing and pulling the atmosphere in one or the other direction. 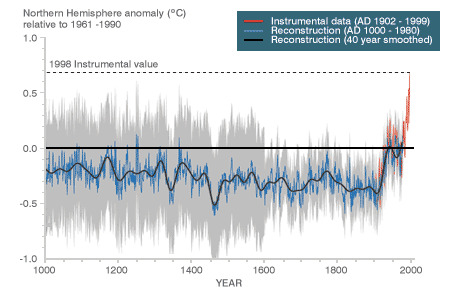 “Climate” is then the resulting overall effect of the action of each forcing, averaged over a certain lentgh of time. In that context, “forcings” were purely operational, “digitizational” tools, providing some basis for computing the climate. By definition, in fact, forcings cannot be measured: all observations of the actual atmosphere will (obviously!) include the effect of them all. If “forcings” exist or not is therefore irrelevant. For all they were worth, forcings could have been substituted by Fourier analysis, or Principal Component Analysis, or whatever other technical tool that can transform a set of signals (and formulas) of any sort into computer-friendly figures (and procedures). However, alongside a steady increase in available computational power, there came the a shift in focus, from real (observable) climate to forcings: in a first dichotomy with the real world, models became ways of investigating the (possible) effect of each forcing, instead of forcings being ways of investigating the (possible) evolution of the planet’s climate. This change is less subtle than it appears. It entails throwing one’s hands up in the air about trying to understand the actual atmosphere, choosing instead to concentrate on known (pre-set) effects of known causes. Models in fact are far from independent from assumptions about forcings: they are made out of them. The effect of each forcing is already written in the code of each model, and model runs will show that effect at work. Even if results could vary for example modifying a model’s representation of geography, there is no way that model will be able to run contrary to its pre-assumed behaviour, for example in the case of increased CO2 concentration. If I write a computer program that just adds one every time a white objects traverses a camera’s field of view, there is no way my program will ever count down, say to minus 20. And the fact that the counter always increases says nothing about how many white objects there are in the real world. It just shows how the counter works. What can you do when all you have are models only useful to investigate what a particular forcing’s effect might be? You are left with playing with the parameters, modifying them to “fit” observations and “plausibility”. This is manifest for example in Hansen et al’s 2007 article, “Climate simulations for 1880–2003 with GISS modelE“, literally saddled with innumerable “estimations”, six of them explicitly “subjective” (little more than guesses, that is) but still able somehow to get published in a peer-reviewed scientific article. Note that comparison to the real world is but a side issue in that paper. “Observations” (25+ years of averages) are useful to evaluate what the parameters are likely to be, i.e. the relative importance of each forcing. There is nothing important outside of them. In a second dichotomy with the real world, in such a vision of the world everything that is not included in the modelling is “noise”, in other words “irrelevant”. There is no “going back to the lab” in contemporary mainstream forcings-based climate science, eg to learn anything new after finding unexpected observations, because those are “noise” (sometimes called, “weather”) and thus have to be ignored. And there is no meaningful effort to measure what if anything is going wrong: for example, comparisons between model results and observations are simply visual. The good thing about this is that there are enormous avenues of research left open to future generations. The downside is that the reality of climate models is, at present, literally set in stone, whatever the real climate is out there. Can climate models predict anything? Skeptics and non-skeptics alike seem to agree that models cannot predict (i.e. make predictions that can be falsified, or confirmed, by observations) for timeframes shorter than around 25 years from the time of computation. In fact, RealClimate seems to be willing to take a quarter of a century, more or less, as the minimum amount of time needed to get “averages” that can be called “climate” rather than mere “weather”. That is a second example of AGW climate scientists pigeonholing themselves: just as anything that cannot be modelled by forcings is “noise”, so anything that doesn’t cancel itself over 25 years is “noise” too. So we started with “climate science” only to get stuck into “multi-decadal averaging to evaluate parameters to use in estimating the effect of forcings”. Can anything ever disprove a forcings-based model? No. Nothing at all ever will. Some AGWers are answering that with improbable claims about Popper being long dead, an eery reply one would expect only from inventors of perpetual-motion machines. Actually, the prove/disprove question may simply be the wrong question. Models are only tools to investigate the possible effect of each forcing. Hansen et al talk about “using the model for simulations of future climate change”. The key word there is of course “simulations”. Models are not a weather-predicting tool (remember, they are about “climate”, not “weather”). And they are not a climate-predicting tool either, even if they are often abused as if they were. In its 2001 report the IPCC itself stated as much, in no uncertain terms: “In climate research and modelling, we should recognise that we are dealing with a coupled non-linear chaotic system, and therefore that the long-term prediction of future climate states is not possible” (from the IPCC TAR-WG1, 2001). What models can do is simulate the effect of individual forcings in isolation, something that can never be observed anyway. They also simulate the cumulative effect of forcings, with added uncertainty as interactions must be modelled too. Such a cumulative effect is not necessarily expected to be observable either. Don’t get me wrong: on its own, doing an estimation is part-and-parcel of conducting scientific research; computer modelling is a great tool for very complex situation; forcings are a good way to translate a system into a manageable model; and scenarios are the standard way to evaluate risk. But with regards to forcings-based climate science, all of those combine together compounding their weaknesses rather than their strenghts: estimations are often subjective, computer models are used to study forcings rather than climate, forcings are taken as “real” even if they cannot be measured, and scenarios are interrogated not for current sensitivities but as forecasts. They have become the basis for a large Intergovernmental organization, tens of international meetings, the collective action of thousands of people, one Oscar and one Nobel Peace Prize, all in the name of what every knowledgeable person knows it is impossible to predict. What Kind of Science is Climate Science? Restricted to “the computation of scenarios (the ‘what-ifs’ projections)”, climate modelling is a science (the “science of climate forcings”, in fact). And RealClimate is as good as it gets. The same applies to much of contemporary AGW scientific journalism and publications, including Scientific American, American Scientist, New Scientist, Nature, Science. And the BBC. Just try, next time you read their reports, to imagine a world view (a “climate narrative“) where climatology, the most uncertain of exact sciences, is applied science, a policy-making tool where only forcings count and, among the forcings, only those of anthropogenic origin are relevant (as there is little to make policies about, for non-anthropogenic forcings). That is too narrow a view to be useful for risk management, let alone to bring science forward. It may lead to worries wasting time worrying about possible future stronger hurricanes, rather than about certain concentrating on preventi present-day catastrophical levee failure for present-day storms. Models have been the cradle of climatology, Tsiolkovsky would have said, but we cannot live in the cradle forever. It is time to expand the “climate narrative”, by getting climate science of the models-forcings-scenarios hole. Because “real” climate is much, much more than RealClimate. Terry Barker (Co-ordinating Lead Author, Working Group 3 (Mitigation), Intergovernmental Panel for Climate Change and Director, 4CMR, Cambridge Centre for Climate Change Mitigation Research) responds to Nigel Lawson in a letter to the Financial Times that “the Stern review has been praised by the Nobel Prize-winning economists Kenneth Arrow, Robert Solow, James Mirrlees, Amartya Sen and Joseph Stiglitz“. Is that true? A well-known quote by Mr Sen on the Stern review: “The stark prospects of climate change and its mounting economic and human costs are clearly brought out in this searching investigation. What is particularly striking is the identification of ways and means of sharply minimizing these penalties through acting right now, rather than waiting for our lives to be overrun by rapidly advancing adversities. The world would be foolish to neglect this strong but strictly time-bound practical message“. As Clive Spash reports, one is left wondering if Mr Sen has read the Stern review, or perhaps just a brief summary. For example, how else could a Nobel Prize in Economics make the mistake of “wrongly refer[ring] to the control benefits as costs and the Report as a cost-effectiveness analysis. This is not a cost-effectiveness analysis as the statement from Stern makes clear“? The conclusion is: endorsements by famous names are no guarantee of quality. Actually, such endorsements may mean absolutely nothing, because famous names may be too busy to read what they are endorsing. And in the case of Amartya Sen and the Stern review, it appears that the former was already convinced enough of the urgency of the climate change issue, not to deem it necessary to read what Stern had actually written. In other words: the only way the IPCC Co-ordinating Lead Author for the WG3 (Mitigation) is able to justify mitigation, is by talking of the “prospect” (i.e. a future possibility for which no probability is given) of “climate chaos“: a prospect that goes beyond the IPCC’s own WG2 findings. Comparing that unknowable prospect with the real-and-present evidence of climate change mitigation policies including biofuels being one of the causes of worldwide hunger and unrest, I opt for no mitigation, thank you. A series of exchanges at Millard Fillmore’s Bathtub is a good occasion to re-iterate a simple point: the IPCC has to this day failed to prove that climate change is a worldwide effect. In other words, there still is no solid evidence of the “global” character of “global warming”. Let’s look at the IPCC AR4-WG2, Chapter 1. I presume a “climate non-skeptic” would treat that document as an authoritative source. Better than vague reports on insurance companies or moving plants. And so, in a sense, it is the IPCC itself that says that the “global” in “global warming” is something that definitely still needs to be demonstrated. Note: author Lucia says “I believe AGW to be true, but since I am willing to pro-actively test projections against data during what appears to be a “stall” in warming, much of my audience consists of skeptics“. Among the results of the first blog: “what this data indicates is that if and when warming resumes, it will likely occur at a rate that is lower than projected by the IPCC. So, while the trends will turn up they are unlikely to reach the 2C/century of warming“. Are climate skeptics helping prevent AGW policies from being implemented? That may well be true: but the actual situation is much more complex. In truth, one cannot fault people expressing their opinions, and their dissent from “consensus”, for the fact that their views appear to be listened to by politicians (not sure they truly are), whilst the “consensus” usually results into idle talk or cures that are worse than the illness (see biofuels, or the idiotically expensive Kyoto treaty). One important point to remember is that much of the Anglo-Saxon world’s brouhaha around climate change is linked directly to the hysteria accompanying a lot of AGW proclamations and actions. Likely due to political naivete, groups of scientists-advocates have joined Greenpeace and the likes in an escalation of hyperboles, with the world depicted almost as turning into cinder by Tuesday, if we don’t all go back to living in caves. As some AGW scientists said about Al Gore’s movie, those hyperboles are not scientifically right, but are deemed ok to “convey the message”. Distortion of science for a good cause was and unfortunately still is in fact a tactic devised to break down the BAU inertia (aka the “cost of Doing Something”). The problem is that there are only so many times such inertia can be countered with doom-and-gloom. AGWers have been unlucky enough to show up years if not months after major scares have fizzled out, like Y2K and SARS. The general population then, and many politicians, have been healthily inoculated against unwarranted exaggerations. That’s why the AGW camp, still using obsolete influencing techniques, have literally painted themselves into a whining-and-crying corner, with few listening to them unless when there is an occasion for swindling public money (see US corn subsidies, and the European cap-and-trade system). There is no danger nor forecast nor model that suggests anything of the sort happening for a long long long time even under the direst temperature increases we can imagine. So what is the point of talking about that, rather than more pressing concerns, such as the droughts and floods that do seem to come out of the model runs??? And so the situation is: in a corner, AGW scientists and advocates kicking and screaming for action. In the rest of the world, lots of people that are turned off any meaningful action…by the kicking and screaming of those AGW scientists and advocates. Little wonder politicians do nothing of any meaning on the topic, apart from when they can spread “pork” and get more votes. But the AGWers are still in the dark ages, as far as advocacy is concerned. Lately the only novelty is that they appear to have decided to be relentless, as if following the old saying that if you keep repeating a lie, eventually it will be taken as truth. But time is not on their side: year-on-year climate fluctuations are larger than any AGW “signal”, as admitted even by RealClimate. There is so much we can say, think and care about the world in 2020, let alone 2050, when the models say evidence would be so much stronger. And when the news talk about a catastrophe for the 1,000-th time, the impact on the public will be much much smaller than it was 999 times before. Anybody believing in AGW can keep on lamenting the situation…just please, try to understand: the lament is part of the problem. The existence of scientist-dissenters is not. Just look at France: where a “green package” was discussed, defined and delivered without anybody running around like headless chickens. Believe it or not, I may have even signed that package myself!